Posted on August 3, 2018 August 16, 2018 by Rachel A. Bringing change to your life is often scary. It’s quite simple – people like the way things are. They hate change. But, reordering things around is often good. If you feel stuck, sometimes finding a new job or a new place to live might help break the rutine. This is why many people go to Florida when they retire. Good weather and nice people aren’t the only benefits of retiring to Florida – bringing change is another one. However, these changes don’t need to be so drastic. Sometimes just adding a little change to your home can be enough. In this article, find out the most important things you need to know when you want to renovate your home on a budget. giving the exterior a makeover. These five ideas might seem simple, but doing any of these will bring a huge change in your home. So, let’s take a look at each of them separately. You will need to take care of the walls. The first thing you need to look into is the interior. Are the walls and floors run-down? What about the decor items? Sometimes, a house will have too much clutter to deal with, which can also be horrible. So, you will want to rent affordable storage in South Florida. You will use this to store all of the items that are just outdated and you don’t want them anymore. Replacing the wall paint and the decoration can completely change the interior of your house. It can also add from 5 to 10 percent (sometimes even more!) to the value of the property. If you are in a market to sell, this can be a huge boost! Start by getting rid of all the carpets, curtains, and everything that will stand in the way of you giving the walls a new coat of paint. If the walls are damaged, find a way to fix them. Sometimes you will only need to strip them of their old wallpaper. However, sometimes you will need to do some sanding and filling. 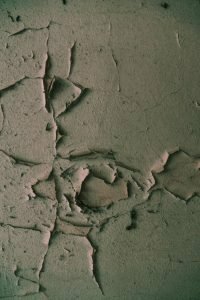 If the walls are still pretty bad, you might want to invest in a finishing coat of plaster which will give them a new life. When it comes to picking colors, go for something light. Experts often recommend off-white for walls and ceiling. This will reflect the light and make space look bigger than it actually is. Also, it is later easier to match colorful furniture with the walls. Another great thing at this time will be to work on the woodwork elements in the room. Skirting, architrave, and doors will all need a natural color that goes well with the walls. Same goes with the floorboards – they might need some sanding too! Play around with the cabinets. There are two ways in which you can update your kitchen. If you don’t like the layout you already have, tear it down and set up a new one. You will probably need professional help with this, so you might want to call some cheap movers in Miami to help. This is quite a radical move, however, and might cost you some money. To save on it, you can reuse the carcasses of the old setup and then mix and match them with new elements where you need them. On the other hand, if you enjoy your layout, breathing a new air into your kitchen will be easier. You can start by replacing the doors, handles, sinks, worktops, taps, and splashbacks. This way, you are paying less and ending up with a completely new kitchen. 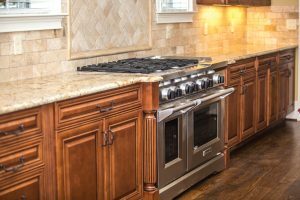 This is also fairly easier to do than changing everything up in your kitchen, so you will save both money and your time. Now, this might seem like too difficult for some people, but getting an en-suite shower room is actually a great way to renovate your home on a budget. However, it does demand a little bit of careful planning. Usually, an en-suite does not need much room. Decide what you want in there, and look at the blueprints of your home. First, you can divide your bedroom with a stud wall to build a shower room. You can do the same with adjacent bedrooms or landing space, too. Some houses might even have a closet space or a cupboard/storage area that can be used for this purpose. Having a shower room helps during the morning rush in the bigger households. It is also a cheap way to renovate your home on a budget, and feel accomplished for it. Finally, the garden and the exterior can inform your decision about the house just as much as an interior can. 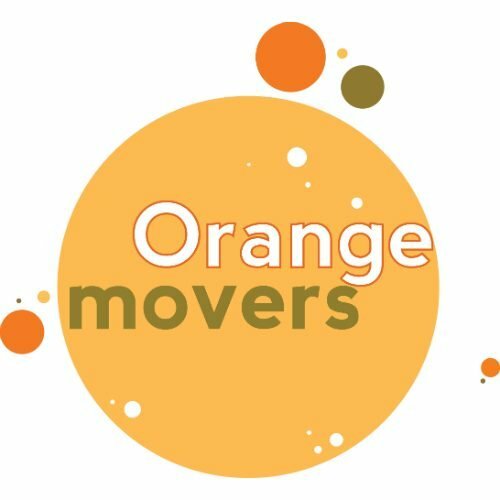 When looking for a new house for Orange Movers Miami to take you to, you will first notice what the house looks like from the outside. 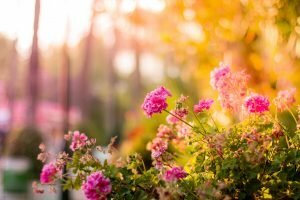 So how do you tidy up your garden and the exterior? Well, the gardens are easy. They usually just need a little time and patience. You should clean up and get rid of the litter and dead plants. You’ll need to weed, repair and feed the law. Then take care of the trees and shrubs – you can even create interesting shapes with them, as well as the beds and borders in the garden. Finally, add a touch of color with different plants. You can also renovate your home on a budget even when it comes to the exterior. Look at the house and decide what needs a new coat of paint. Fix the doors, windows and the garage. Think about removing some elements – this can also give a new life to your home. Changing a porch, for example, can make all the difference.